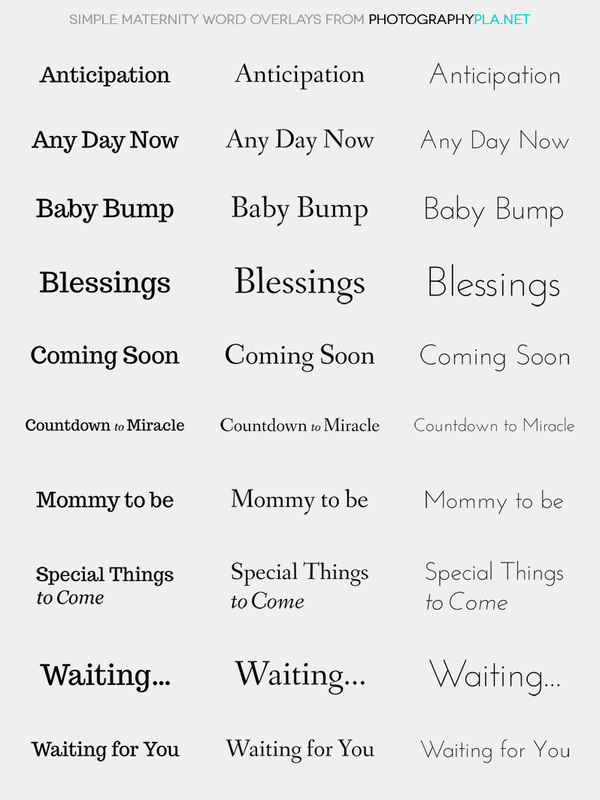 This set includes a total of 30 different simple word overlays intended for use with maternity photos. There are 10 unique word overlays, each with three different variations. The overlays come in .png format, in 3600 pixels by 3600 pixels at 300 dpi. Just add them to your photos for a simple, elegant decorative element. They can be easily re-sized and colors can also be changed in either Photoshop or Photoshop Elements. They are perfect for use with your client maternity photo shoots, for photos that will be shared online, and for creating awesome albums. Please note, the text of these overlays is not editable. You can preview all of the overlays below.